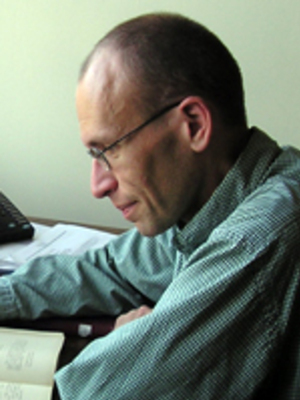 Drew Jones works in the areas of early medieval languages, literatures, and history, with specific interests in Old English, medieval Latin, manuscript studies, liturgical history, and monastic culture. He is author of Ælfric's Letter to the Monks of Eynsham (Cambridge, 1998), A Lost Work by Amalarius of Metz (Henry Bradshaw Society, 2002), Old English Shorter Poems I: Religious and Didactic (Harvard/Dumbarton Oaks, 2012) and The 'Relatio metrica de duobus ducibus': A Twelfth-Century Cluniac Poem on Prayer for the Dead (Publications of the Journal of Medieval Latin, 2016). His essays have appeared in Anglo-Saxon England, Medieval Studies, JEGP, Revue bénédictine and Speculum, among others. His current projects include studies of Alcuin's circle and an edition/translation of Odo of Cluny's tenth-century poem the Occupatio, with commentary.